Located on beautiful Vancouver Island, Victoria experiences an active market in 2016 and continues to remans a popular destination for home buyers. 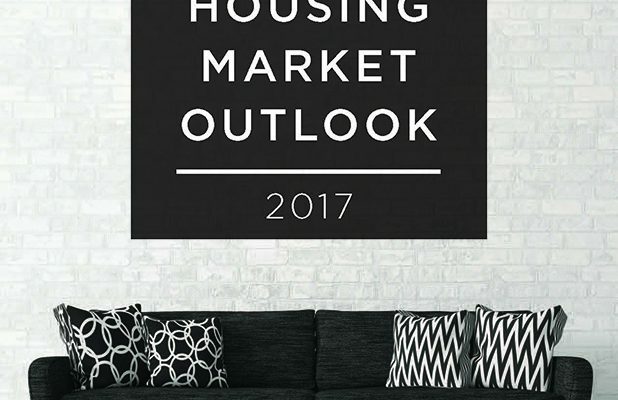 Victoria housing market review and forecast predicts factors for home buyers looking to move to Victoria include: mild climate, housing prices over metro locations like Victoria’s neighbour Vancouver, and lifestyle. Market conditions have continued to favour sellers with any listings under $650,000 receiving multiple offers. There is approximately three months of inventory on the market across all property types. Number of sales for all residential properties between January and October grew by 18 per cent, up from 8,206 in 2015 to 9,719 in 2016. Sales were brisk across all property types and the average residential sale price rose from $518,153 to $580,961 in Victoria in 2016, a 12 per cent increase. Price appreciation in Vancouver led to many owners selling their properties in the Lower Mainland and looking for more affordable options in Victoria. Buyers from Alberta are also key players in B.C.’s capital city. The market slowed slightly in October, in part due to uncertainty around the U.S. election. Victoria’s housing market is expected to remain strong in 2017, but is not expected to experience the same level of activity that was seen in 2016. Infrastructure projects such as the Site C hydroelectric dam and recently approved LNG project is expected to lead to growth throughout B.C. First-time buyers are active in Victoria’s housing market and have looked to take advantage of low-interest rates in recent years. Many of the new condo projects in development are smaller units, under 1,000 square feet, and are geared toward single and entry level buyers. The new mortgage rate rules are expected to soften the rst-time buyer segment of the market in 2017. Sales for condos in Victoria increased 45 per cent year-over-year in 2016. Demand is primarily driven by first-time buyers who look for properties between $300,000 to $400,000 and retirees looking for properties in the $600,000-$700,000 range. The average sale price for condos increased slightly from $326,581 in 2015 to $353,275 in 2016. A steady supply of new product is expected to maintain the current activity and average prices in Victoria’s market. Demand for upper-end properties has remained strong, particularly for single-family detached homes in the $1 million to $3 million range. Luxury buyers are often foreign investors from the U.S. or retirees looking to purchase upscale condos or houses on the coast, in some cases as a secondary residence. 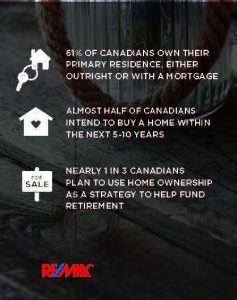 Click here for more information on the housing market across Canada. Achieving that dream can be challenging for first-time homebuyers. With the launch of the B.C. HOME Partnership program, first-time homebuyers have more options than ever to help them get their foot in the door. Learn about the Housing Action programs you may qualify for today. Whether you are renting, buying or renovating, B.C. is working to keep housing affordable for you. 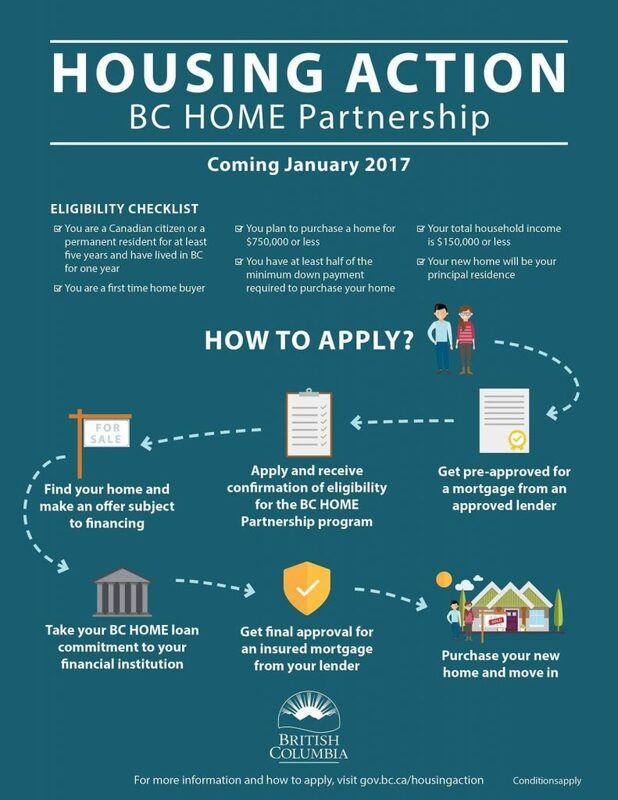 As the cost of home owernship in BC continues to go up, the Provincial Government has offered a plan to help first-time home buyers with downpayment assistance. The essence of the plan is to assist first-time home buyers with the downpayment requirements that are set in place. Read more to find out what the plans are in a nutshell. Will mortgage lenders accept down payments which are loans? Will the lending institutions accept these 2nd mortgages being on title? How will changes in market affect the affordability of payments after 5 years? Mortgage lenders seem to be trending towards rate increases in recent weeks, so affordability remains a big concern. Interested in finding out if this program is a fit for you? 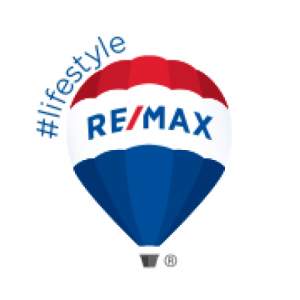 Call your RE/MAX REALTOR®, and ask them to give you names of some good Mortgage Professionals who can answer your questions. *this list of qualifications in not exhaustive, for all the eligibility requirements, contact a Mortgage Professional or the Province of BC Website.